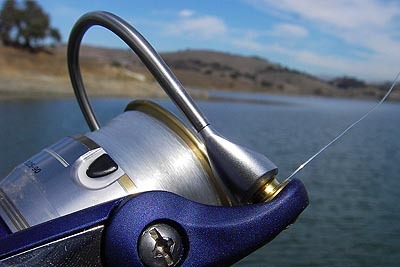 Introduction: Daiwa introduces the TD Tierra, the newest reel in their brightly colored lineup. First their was the Sol, and Fuego spinning reels� now the blue Tierra slots into the price point once occupied by the top selling Capricorn, and ups the number of premium features including the company�s new sealed drag system, and Digigear gear design. 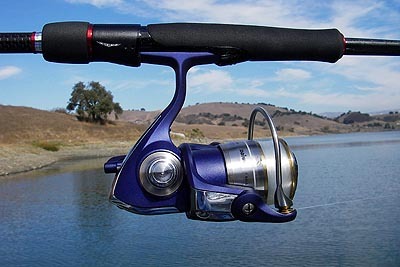 Impressions: Continuing their Spanish naming tradition the word �tierra� means �Earth.� No surprise then that the reel is painted a deep blue color to symbolize the Earth�s vast waters. 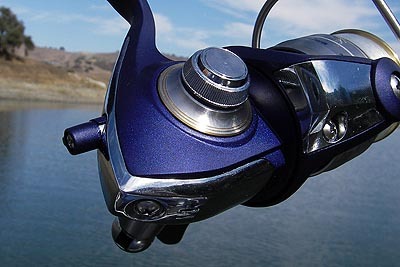 The Tierra�s blue finish is more deep blue matte in appearance than bright blue. I much prefer this finish over the vivid blue Viento color. Love it or hate them, Daiwa started a serious trend when they introduced brightly colored performance reels three seasons ago. It seems just about every manufacturer out there now has their own assortment of brightly colored blue and red reels. 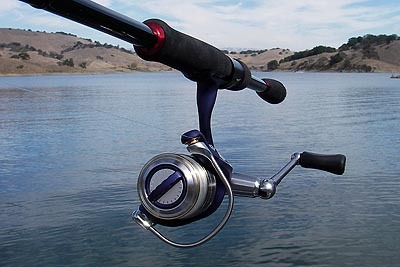 Get beyond the color and the Tierra sports plenty of features once only found in the TD-Sol and Fuego spinning reels. 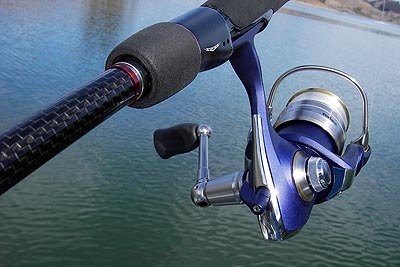 This includes Digigear gear design, and the company�s sealed drag system, which allows washing of the reel without fear of moisture, salt, or debris getting inside the drag system. Familiar features include Hardbodyz metal design, CRBB bearings, and the popular AirBail. Overall the Tierra comes out of the box as a nice total package. 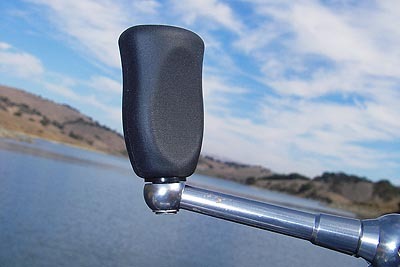 The only gripe we had at this point was the inclusion of generic �Universal� spinning reel instructions rather than a dedicated Tierra description. This is a very minor concern as few anglers ever really read their manual, but it was nice to see a separate pamphlet with the Tierra�s detailed schematics. Real World Test: Designed for a wide range of applications we decided to get the reel that best matched our new Steez STZ 681MLFSA test rod. The Tierra 1500 weighed in at 8.70oz and balanced the lightweight rod perfectly. 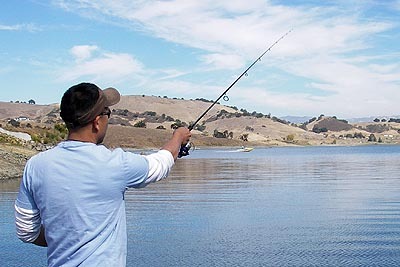 We fished for largemouth and spots in a number of local lakes and the California Delta. We loaded the spools with 4lb Yozuri for drop shotting and 8lb for tossing hardbaits. Casting: The 1500 is the worst caster of the Tierra lineup, simply because it has the smallest diameter spool and is more prone to line twists. 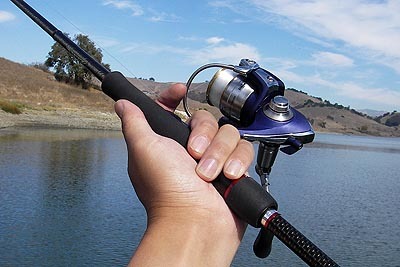 That said, this reel casts as well as any spinning reel in it�s similar size class. Even line lay helps make this reel a respectable caster, and we were able to toss everything from darter heads to lipless cranks without difficulty. When fishing drop shot rigs we were doing more lob casts and direct drops than long distance casting. For this application the Tierra paired with the Steez rod were a match made in tackle heaven. The well balanced rig made it easy to position the drop and start working the tip immediately. Next Section: Let's get into the retrieve!